An international symposium on bees—with topics ranging from their health to their importance—takes place in Kelowna this month. The Border Free Bees Symposium is attracting local, national and international collaborators as well as volunteers, partners and bee supporters. The symposium runs from October 12 to 14 at a number of local venues. Organizer Nancy Holmes encourages the public to get involved. Holmes, an associate professor at UBC Okanagan’s Faculty of Creative and Critical Studies, is a representative of Border Free Bees, which has projects in the lower mainland, the United States and Mexico. The public events begin with a free talk by Mace Vaughan of the renowned insect conservation organization, The Xerces Society. 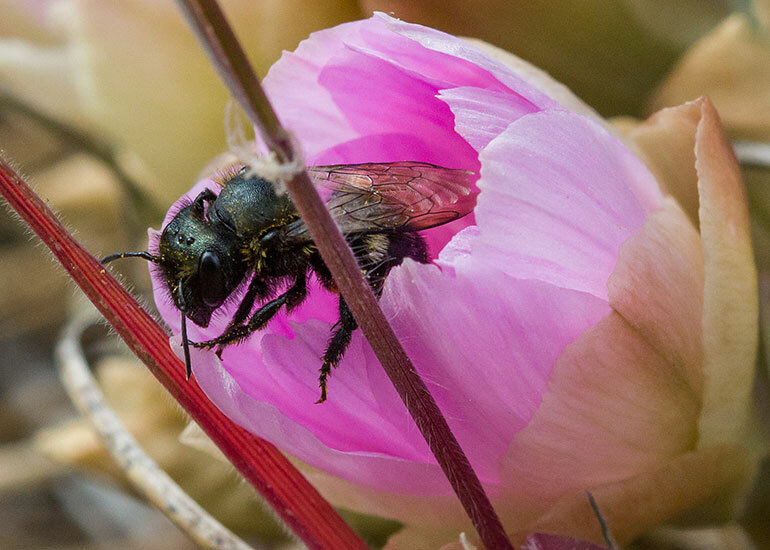 Vaughan, who supervises the largest pollinator conservation team in the US, will give a talk called Bring Back the Pollinators: What You Need to Know to Save Native Bees on October 12 at the Laurel Packinghouse, 1304 Ellis St., at 7 p.m. The symposium continues throughout the weekend with talks, workshops and field trips with scientists, artists and international partners. A banquet takes place Saturday, October 13 and will feature a keynote talk by Victoria Wojcik, the Canadian Research Director of the Pollinator Partnership, a North American organization devoted to the protection and promotion of pollinators. Tickets are $50 or $40 for seniors and students. The Symposium is supported by UBC, the Social Sciences Research Council of Canada and the Kelowna Museums Society. Some events have a small fee to cover costs. People can get more information at info@borderfreebees.com or nancy.holmes@ubc.ca.